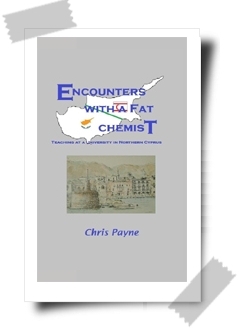 Chris Payne writes a hilarious surreal account of life as a university professor at a dysfunctional university in the Turkish Republic of Northern Cyprus. On the beautiful island of Cyprus, little works as you expect it to, from the primitive plumbing to the maniacal university bus service. The American Institute of Cyprus is a seat of higher learning like no other. The place is chaotically organised for the students who attend class only if they feel like it They cheat on their exams, photocopy textbooks illicitly with university approval and deliberately fail their courses to avoid military service. Meanwhile, the management spends its time devising all sorts of ingenious money-raising scams and schemes to cheat students and teachers alike and the AIC owner’s business strategy is to sell as many university degrees as he can alongside his cake shops and motorcycle franchises. But then, as everyone says, ‘this is Cyprus’ – an edenic Mediterranean paradise where everyone is on the make and the only guiding principle is ‘money is money’.